Business networking is certainly nothing new, but the recent explosion of networking opportunities fuelled by social media can make the proposition of entering the networking fray a confusing and ultimately time-consuming activity for business owners wanting to make new contacts and grow their businesses. The number one thing to remember before you even enter the networking event room is YOU CAN DO THIS! OK, it’s not the most comfortable or easy step to walk into a room of strangers and introduce yourself but be prepared, take a deep breath and do it. You will be glad you did. Just a note for the over-confident too – don’t go into a new group all guns blazing either – you’ll just come over as annoying! Otherwise known as strong contact networking groups these are not for the faint-hearted, but beginners are very welcome. They require a high level of commitment both in time and money. BNI is strong all over Australia, indeed the world, and is a great example of this type of networking group. Provided by larger organisations with less time or financial commitments than strong contact networking. Small Business Association of Australia and Local Government organised networking fits in here. 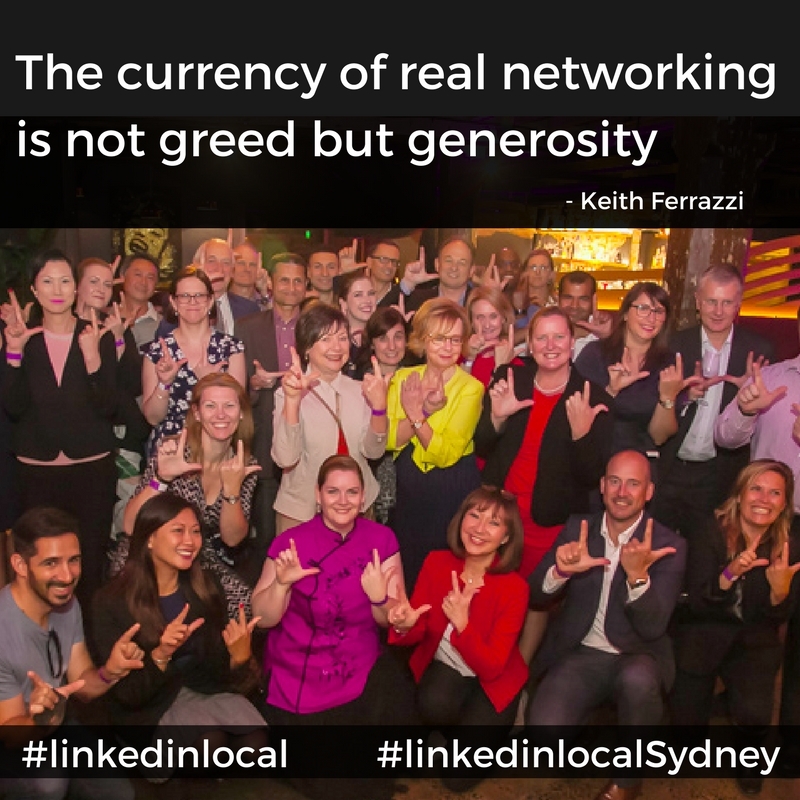 Events such as the very popular #LinkedInLocalSydney events which have a strong focus on the human-to-human connection rather than business pitching and sales focused are attracting groups betwen 20 – 100 . These networking events encourage ‘online’ connections who reside in a geographic location to take their networking ‘offline’ and meet face to face to get to know the real people behind their LinkedIn profiles. Sydney events are run by Jane Jackson, Career Management Coach and LinkedIn Trainer and Jillian Bullock, The LinkedIn Ninja DownUnder. This may not be what you expect – it’s not the interest of or the actual businesses in the group – it’s usually what the group is organised around. Some charities and sports clubs hold occasional networking events, think out of the box and you will probably find a useful networking group in there somewhere. Spending time with professional and trade associations is more about raising your profile, being ‘in the know’ and meeting people who may help or recommend you to others. This is especially helpful for Job Seekers who are looking to meet decision makers in their industry or to expand their network in a new industry. It’s an invaluable part of networking and shouldn’t be overlooked. Mingling with your competition can arm you with information you wouldn’t otherwise have so do hang out with them occasionally! There are a lot of new places to promote your business and network online. In the case of social media, a huge proportion of this is little more than businesses posting their advertisements into a page or group but in fairness it’s not easy to start a really good online networking group. Look for local events and groups that your potential customers may be interested in and get involved. As mentioned earlier, #LinkedInLocal events are a perfect way to meet the connections you’ve made online. Look out for one-off and special events. Sometimes big networking clubs hold free or discounted open sessions that allow you to get a foot in the door. Also look out for speed networking opportunities which can be great, especially if you are new to the experience. It’s a bit of a baptism of fire but the plus side is you will have no time to be nervous or feel like a spare part! You will also master your super-fast networking pitch to perfection. Expect to speak to 100 or more fellow business people in a morning session so a bottle of water and business cards at the ready and GO! Business cards and/or flyers (plenty of them) are a must for any networking event. Unless you know you are presenting you don’t really need any in-depth business materials with you. Useful online business card tools such as slideit.io make exchanging contact information super easy as you can send your digital business card via SMS on the spot and schedule follow up calls via the app too. If possible, get the attendee list before the event. This helps you pinpoint contacts you want to make. Check for anything attendees are asked to bring along or fill in before the event. Wear something with pockets – preferably two – one for contacts cards and one for yours, or a cross-body bag works well for this. The key is to deal with cards efficiently without getting in a muddle. If taking a larger bag, use one that sets down on the floor or table without falling over – you’ll only waste valuable time fiddling with it! Dress smartly, appropriate for your profession but also comfortably, you could be on your feet for a while. Make sure your business social media profiles are up to scratch – no point putting in the time and effort to meet people face to face, only to be let down online. There is something of an après-event connecting culture, especially on LinkedIn so be certain that you are on there, up to date and looking good! Whether it’s your first time or you are a seasoned networker, knowing who you are likely to find in the room can help to organise some priorities and seek out your best opportunities. Having said that, never discount anyone from your efforts, networking people know people and referrals are the name of the game. Many speak to lots of other networkers and have deep, wide pools of contacts they can refer you to. Also bear in mind how online networking such as LinkedIn will show their contacts YOUR details if you connect with them. Who are you likely to find at a networking event? This person is very likely to be a speaker at the event. They are experts in their field. They are often more approachable than you may expect and are usually open to adding to their existing extensive base of contacts. Connect with these people by asking about them, their book, Twitter name, who they have worked with and where. They may ask you what you do, they may not, this is probably not one for a sales pitch unless there is an obvious match. If you can ask them something that they can get back to you on that’s great – it gives you an excuse to connect by LinkedIn or email after the event and keep the conversation open. Simply being connected or associated with these people can help raise your profile. This person could work for the networking organisation or be a local member. These people know EVERYONE, they have LinkedIn connections coming out of their ears! Try to find out what the organiser does, if you have a match between your businesses they will have you in their diary for a post-event appointment in a flash. These are people involved with larger businesses who use an independent sales force to sell their products and/or services. They work on sales commissions and compensation plans. What they want is MORE TEAM MEMBERS. Essentially these people are on one big recruitment drive. Some have other business interests and will register for the event as that but then bring their MLM opportunity into the conversation. They like sole traders, the self-employed, anyone in sales and stay-at-home parents who they could add to their unsalaried sales team. Their upstream organisation provides them with almost everything they need to run their show, so it is unlikely they will venture outside of that for other business supplies or services. These people are quite interesting, they are passionate about the charity they represent and tend to come from a solid charity sector, marketing, PR or event management background. Their main aim is to find sponsors for events and the like and they often have venues or other services belonging to their charity that they want to sell. They really like the word FREE and this can help you reach further into their organisation for contacts relevant to your business. For example, offering to Tweet or share in your Facebook group their event details usually goes down well. Building relationships and associating with charities is good for business and you never know who is involved with any one charity at a higher level. Franchisees come in many forms and experience and from many different sectors. Franchisees are not to be confused with MLM’ers as they are not normally on a recruitment drive. Franchisees are open to help, contacts and new markets for their products and/or services. To make the differences clear a franchise owner has paid a company for the right to operate a business for that company’s products or services, most often within an agreed territory. This is usually a substantial investment – essentially buying a business off the shelf. Essentially Freelancers, Therapists warrant their own category. Covering a wide variety of services including Physiotherapy, Life Coaching, Alternative Medicine, Self-Improvement, Personal Branding, Wellbeing and the list goes on. Their goals for networking vary but essentially, they are looking for new customers to bring their therapy to. That could either be to deliver the therapy itself to workers, provide training in the therapy or to use their specialist knowledge to deliver an improvement course within organisations. These people are usually very passionate and focused on what they do. They are open to hearing about services that will give them more time to spend with their clients or to develop courses. Another very diverse group of people who stand apart in so far as they 1) work in their own business, usually as self-employed and 2) have specialist skills. This includes VAs, PAs, web designers, copywriters, code programmers, digital designers, film makers, single practice accountants, specialist solicitors, travel planners, event organisers, photographers, you get the picture I am sure. These people are looking for new customers to deliver their services and skills to and the business network ethos of referrals works well here. They want you to refer them and will refer you in turn. These people probably have the most useful networks of contacts, they tend to know someone for every requirement so if your niche is a bit different or you have a speciality, they are sure to add you to their database of useful people! Business networking is made for The Freelancers – they are used to running the show in their business and are usually confident in what they do and know how to talk about it. This group is made up of professionals and consultants who are not so interested in The Freelancers or the MLM’ers – these people are seeking the small to medium sized businesses. HR Consultants, lawyers, people from larger accountants and insurance company representatives fall into this category. Some are independent, some work as agents and others are employees. These people are on the lookout for small companies that are growing, taking on more staff, new premises etc. There can be some quite quirky specialists in this group and it is always worth listening as your business may need their services one day. Now you have everything to prepare you for your chosen networking event! Next, we will look at what happens at and after a networking event. 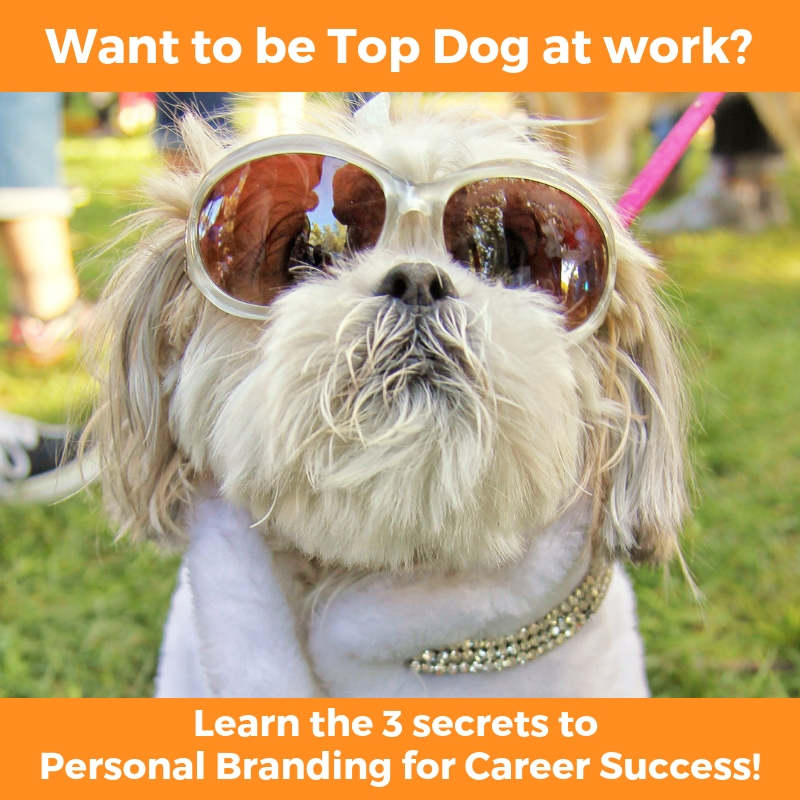 To attract opportunities and interest in what YOU do, you need a strong Personal Brand – this FREE MASTERCLASS, 3 Secrets to Personal Branding for Career Success shows you how. Carolyn Strand is a guest blogger, Digital Marketing specialist and Managing Director at C J Strand Ltd.